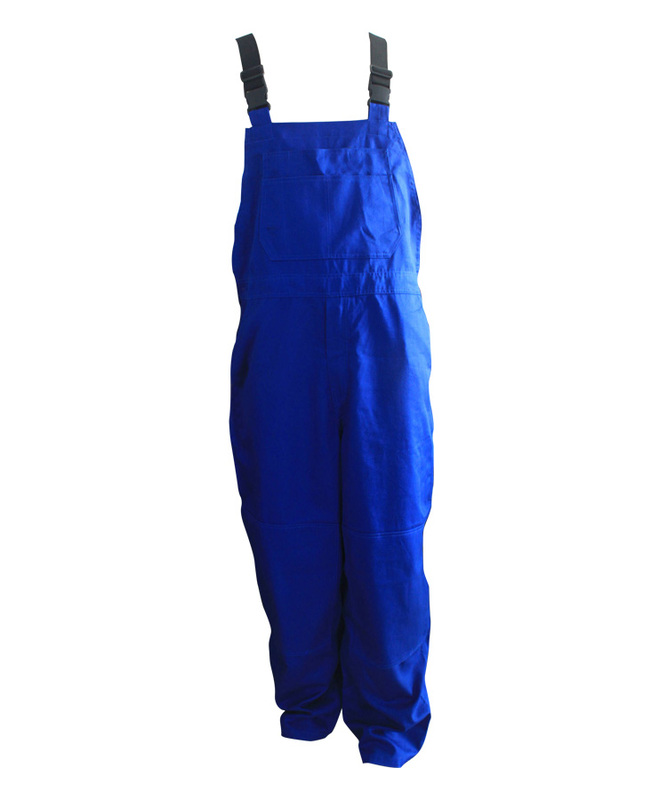 This blue winter cotton arc protection overall made of 380gsm cotton arc protection fabric, and can meet NFPA70E, IEC 61482-1-2, EN 61482-1-2, NFPA2112 and other standards. 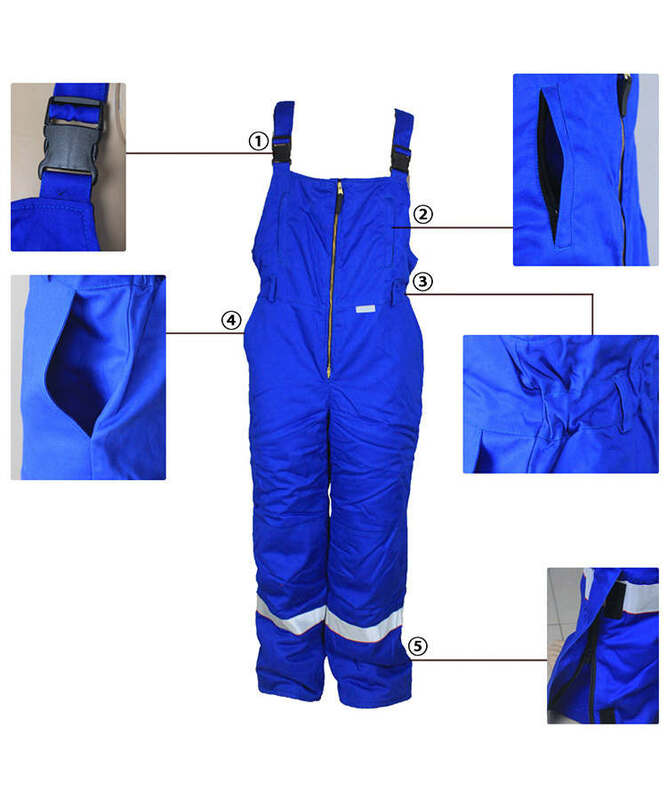 The blue winter cotton arc protection overall can prevent electric spark, electric arc and metal droplets effectively, also can prevent the spreading of flames, has good fire retardant function, quality can meet European standard and American standard requirements, and the property would not lead to failure or deterioration because of washing. Braces with 4cm width elastic band, much flexible. 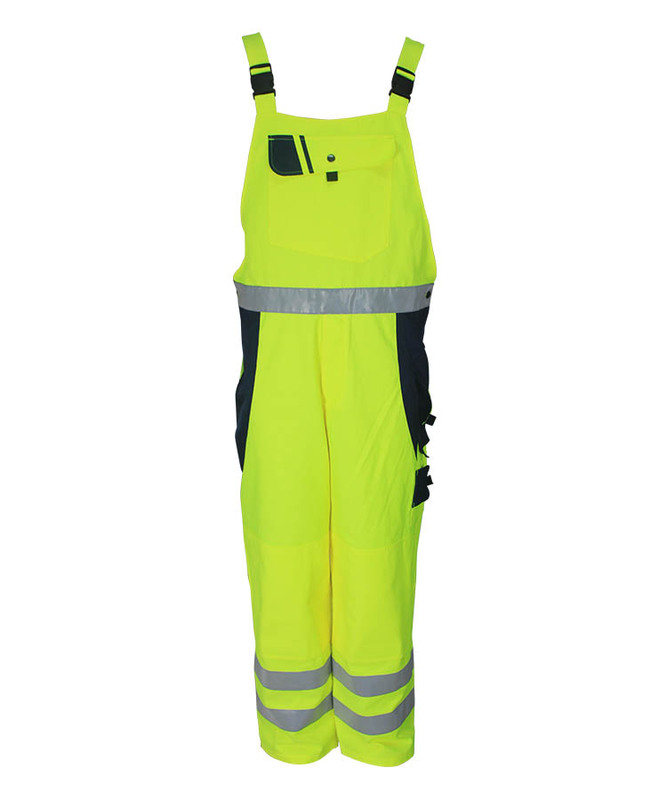 Front bib connected with strap by buckles, length is adjustable. More comfortable. 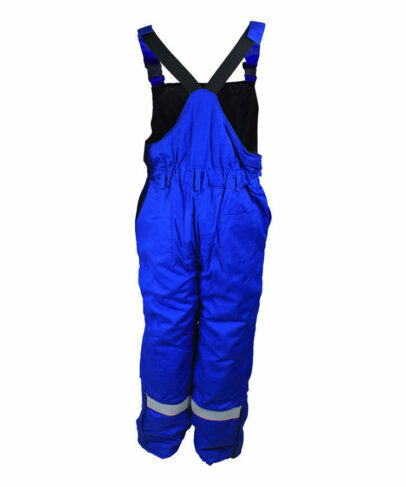 Vertical pocket on the left and right side of the front bib, closure with vertical zipper. 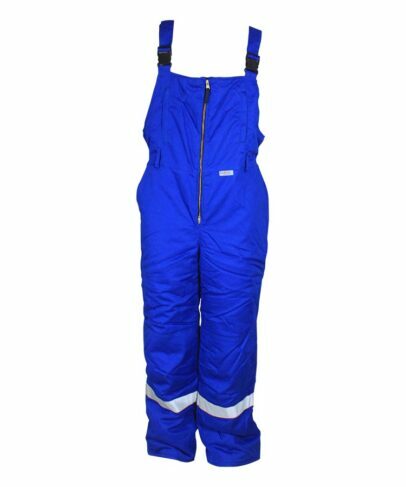 Elastic band on the back waist of the pant,5 loops on the waist line. 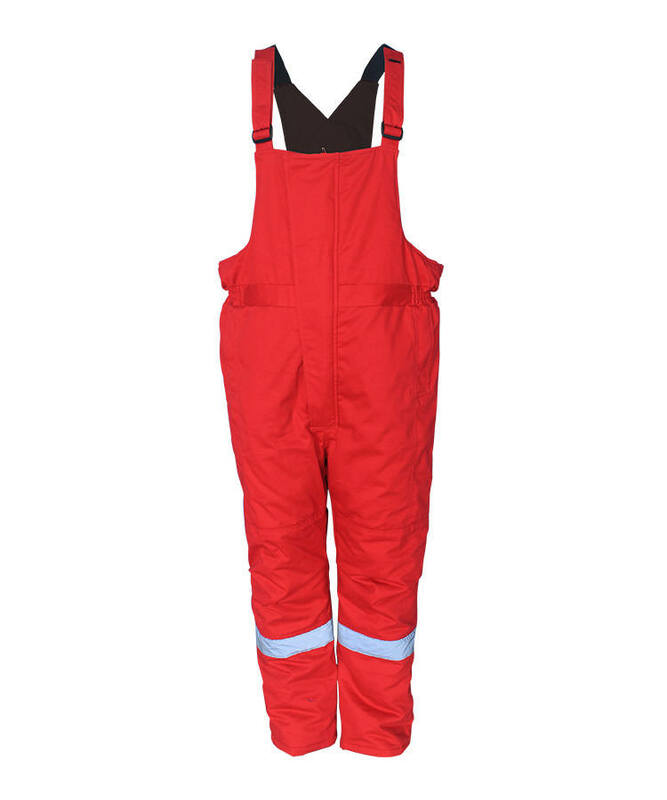 Zipper closure on the side of the leg open, zipper covered with placket, can protect from wind and much warm . Padding for the whole pant, warm and comfortable. Front opening closure with double close metal zipper. Kneecap on the front leg with pleats, which can extend the movement area, much comfortable when bend. Patch pocket on the right hip. One strip reflective strip on each bottom of the leg, red rolling tape on the bottom of the reflective strip.